In Victorian England, the use of cosmetics was taboo. It was perceived as evil and corrupt and not dissimilar from witchcraft and sorcery with innocent men as victims. 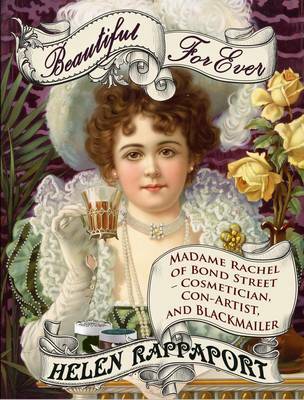 Beautiful For Ever details the career of the controversial and almost mythical figure of Madame Rachel: cosmetician, con artist and almost likely, a procuress of prostitutes. Madame Rachel, whose real name was Rachel Leverson or Levison, was an astute entrepreneur with a keen eye for business, rising from poverty to creating one of the most infamous businesses in Victorian society. Although illiterate, Rachel made sure her children had the best education she could afford to give them and who would in turn help her in her deceptions. These ‘exotic’ potions promised to make women ‘beautiful for ever’ and in a society obsessed with the women’s marriageability, anything must be done to enhance a girl’s physical attributes. To encourage the myth of Madame Rachel, she told her many wealthy customers that she was actually several decades older than she looked and it was due to her potions. The business of Madame Rachel proved very successful for awhile and even opening up a branch in Paris and Rachel’s wealth grew enough to send her children to the best schools there. With so much cheating and conning with the products, the consequences soon found Rachel . Many wealthy women, duped and coerced by Rachel’s sales tactics, quickly lost a small fortune and many amassed a debt. This grew messy because the women hid their visits from their husbands. The women, almost all who held high standing and reputations in society, feared their visits to Madame Rachel would become known and Rachel held this to her advantage. For those who have read Sensation Fiction, Madame Rachel appears in two (the two that I know of) of the popular titles: in Wilkie Collins’ Armadale, Madame Oldershaw is a weak caricature of Madame Rachel. The infamous ‘Beautiful For Ever’ catalogue briefly appears in Mary Elizabeth Braddon’s Lady Audley’s Secret. Helen Rappaport writes a very readable biography of the infamous Madame Rachel and I believe this is one of the few books available on Rachel Leverson. While it’s incredibly readable, I’m not sure if it’s suitable for academic research even though Rappaport does back her study up and it is very well researched. Reading this, I couldn’t help but compare the rather harmless procedures (of course, discounting the use of poisonous minerals such as arsenic and lead!) the women used to enhance, or completely alter, their beauty with the procedures we do today: body sculpting, liposuction, breast implants, nose jobs, face lifts, botox, scrubs, facials, wraps, spas, etc. What is real and what is fake? What is real beauty? And of course, we all buy numerous amounts of creams, lotions, cleansers, exfoliators, perfumes, lipsticks, foundation, eyeshadows with promising tag lines. This sounds fascinating and definitely something I’d be interested in reading. I’m intrigued by the sensation novel connection too – I loved both Armadale and Lady Audley’s Secret. It’s really an interesting and great read. Madame Rachel’s rise coincided with the Sensation fiction moment. Helen Rappaport seems to write about the most interesting subjects. I need to read more from her. She does write about the most interesting things. I think she has a book on the Russian family too. Thanks Bina. 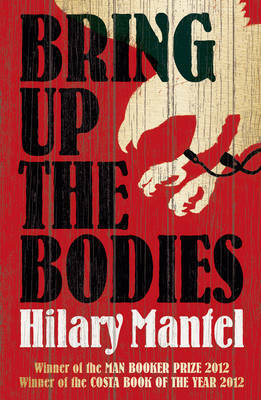 It really is a fascinating topic and Madame Rachel was a interesting criminal.